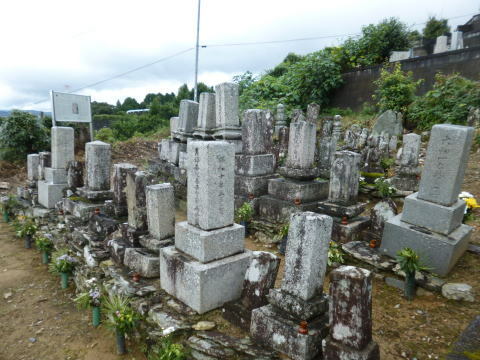 The grave of Saizokatsuyoshi Ohata is located at Kamuro, Hashimoto city in Wakayama Prifecture. Saizokatsuyoshi Ohata, a civil engineer of the Edo period, was born in 1642 and he had been lived in Kamuro village. After he attained an important post of the village at a young age of 18. he got the post at Koyasan. In 1696 he took the post as a public officer of Kishu clan in 1696 because of his contribution of the agricultural development and water supply. He built dams of Hujisaki in naga district and Oda in Koyaguchi town.